 Experience The Samaya Seminyak where all our guests can enjoy an unparalleled level of service, privacy and our unique delivery of Balinese hospitality . Relax in the comfort of The Samaya Seminyak, we are offering an unbeatable beachfront location, merely steps away from Bali’s famous lifestyle district. Travelers can enjoy luxurious comfort from a wide range of different villa categories, either located on the beach side or across the road in our Royal Courtyard setting. Each of our villas features their own full-size private lap pool, modern, fashionable and chic interior. Steps away from the famous Seminyak – Petitenget Beach, the resort offers a luxurious beachfront escape with traditional Balinese hospitality and modern comfort. From the moment we were picked up from the airport by the Samaya driver (at 1am!) to the moment we departed, the team and the experience at Samaya was incredible. Our villa was immaculate, equipped with its very own plunge pool, the service went above and beyond our expectations (all staff are so friendly, caring and couldn't do enough to help us) and the location was amazing - right on the beach front, walking distance to some lovely restaurants (including the resort restaurant Breeze) and shops. We wanted to spoil ourselves and try to stay somewhere quiet (given it was school holidays) and we were so happy we choose Samaya as it delivered on every front. We would highly recommend the Bali Massage and make sure you get a beachfront Villa. Thank you to Christian and his team for such a wonderful experience. We will be back! My wife and I have just returned to the UK having spent 2 fabulous weeks at the Samaya. From start to finish the whole experience; the facilities, team and environment are first class. The a la carte breakfast each day wonderful, Breeze restaurant a culinary delight and the Spa a delightful treat. Not to mention the villas themselves, so spacious and well appointed. The team at the Samaya are excellent and can't do enough to ensure your stay is relaxing and comfortable. We were made to feel like VIP's. Brilliant all round service. Thank-you for giving us a real treat. We hope to return one day. Anthony and Lizzy. We just recently had our third holiday in the past 6 years at The Samaya in Seminyak. Each time we go to book a Bali holiday I do lots of research on what’s available as there are always new places opening, and I keep coming back to The Samaya as it seems to tick all our boxes! Beautiful big clean rooms, fabulous bathroom and a great outdoor area. We also love having breakfast at The Breezes restaurant and my husbands favorite is afternoon tea on the lawn overlooking the ocean. The staff, as always are fantastic. Friendly but not intrusive and always willing to help. I also love that you can easily walk to lots of great eating places (try Sisterfields in Seminyak square) and Bodyworks is just round the corner and is a great day spa. I can’t recommend this place highly enough. Thanks once again everyone at The Samaya, we will indeed be back! I booked this hotel based on the great reviews, and they definitely didn't lie. The hotel was expensive, a definite splurge for my husband and I, but it was worth it. We spent 3 nights in a courtyard villa (across the street from beachfront area) and loved every second. Stayed here with my wife for three nites during the second half of our week in Bali to celebrate our one year anniversary. We booked our stay here over 5 months in advance after doing thorough research and reading reviews (we flew 22.5 hours from New York to get here so wanted to get right! ).